Each and every anabolic steroid comes with a main primary function, which is often seen a secondary to the secondary uses that it provides to the individual. 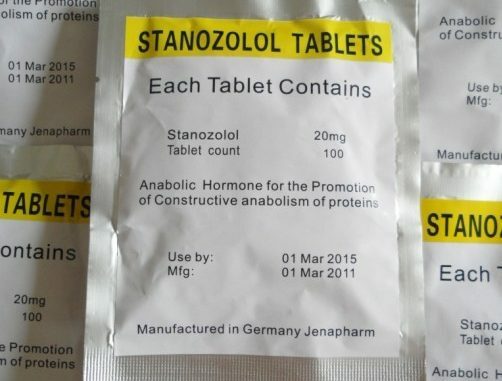 As an example of this, Anadrol is primarily used for putting on lean muscle mass, which is great for those suffering from muscle wasting conditions. As a secondary use, Anadrol is perfect for athletes during their period of cutting as it allows them to retain their lean muscle mass while dropping body fat. 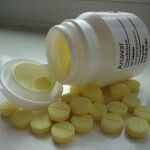 Other steroid hormones, such as testosterone, are much more versatile in use and can be used for many different purposes. This review is looking at the effects that Winstrol may have on the body of the user, which is noted as 2 main ones. The first is that Winstrol is great for enhancing performance and recovery of athletes and bodybuilders, and is also a perfect tool to use during a cutting phase. When an athlete begins to pack on muscle and grow, this is known as off season. It is an important time for any bodybuilder or competitor of sports and one which can be enhanced by using Winstrol. As the individual is not competing or taking part in any events during the off season phase, they are able to focus on growth and strength building. Now, Winstrol is not a very effective anabolic steroid to use for the off season athlete, as it will do very little in the way of muscle mass, growth and strength improvement. With that being said, Winstrol can actually act as an amplifier for other anabolic steroids, thus lead to a more effective end result which includes solid and strong muscle gains. While this may be seen as beneficial to some, for the majority, they would be better off using a different steroid in place of Winstrol during this period and using it at a later time when it comes to cutting and dropping weight fast. For the competing athlete, Winstrol is seen as one of the most important steroids that they can make use of. Winstrol is perfect for increasing strength and speed, which gives athletes an advantage during times of competition. While it may not be the best steroid for bulking, it sure makes up for it for its performance enhancing properties. The fact that the user is highly unlikely to pile on anybody mass helps keep it looking less suspicious to others. After all, the primary purpose of most steroids is for weight gain and muscle building, so Winstrol fails to arouse suspicion yet improves performance drastically. The fact that weight gain tends not to occur when using Winstrol also makes it perfect for competing bodybuilders who need to retain muscle mass while dropping body fat. All in all, it is a great choice for competing athletes, but not so great for the off season ones. Winstrol does have a vital role when it comes to the world of bodybuilding, and this role all revolves around the time when the individual is dropping body weight and cutting fat. This is where Winstrol comes into play and truly shines. The hormonal steroid allows the user to attain a solid, hard, and toned looking physique with ease. The muscle hardening effect is what most users value it for, however, it is not going to have much effect on fat physiques and cannot make a fat body look hard. For best results, the individual will want a low body fat score, which should be a single digit at most. Of course, Winstrol is great for cutting, so you can kill 2 birds with one stone with its use. Moreover, as this anabolic steroids, main use is for building body strength, speed, and stamina, it can be used with a reduced calorie diet to create a hard body while reducing the likelihood of lean muscle mass being metabolized in the process. 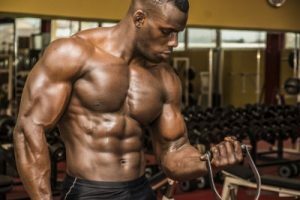 For these reasons, it becomes easy to see why Winstrol is so popular among competing athletes and those trying to shed body fat while keeping hold of their important lean muscle mass.